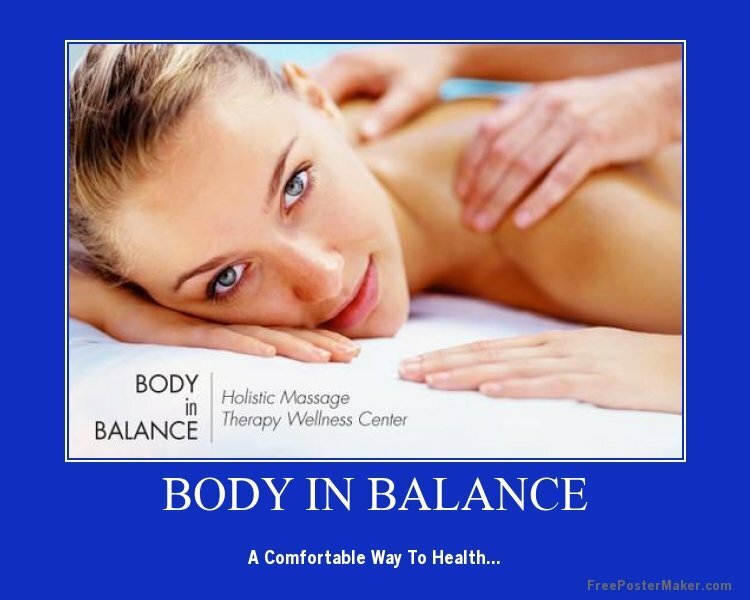 Body in Balance provides customized therapeutic massage and other treatments to improve clients' overall well-being, resolve problem areas and encourage rejuvenation. We use the term therapeutic to emphasize our mission to profoundly affect the physical and mental states of our clientele, as well as their sense of wellness and health.Looking for a great Swedish massage or Trigger points massage? This is the right place. The moment you walk in, you'll feel a sudden rush of relaxation...soothing lights...soothing sounds...soothing aromas. You are now just steps away from several services that will erase your mind of your daily stress and relax your muscles from all of your physical tension and knots. At Body in Balance it’s all about you. What your body wants. What your spirit needs. We address the entire mind and body, immersing your every sense in the art and science of massage. We tailor each treatment to your specifications. For those who are committed to improving and maintaining their well-being, we offer special deals with benefits and special monthly promotions.